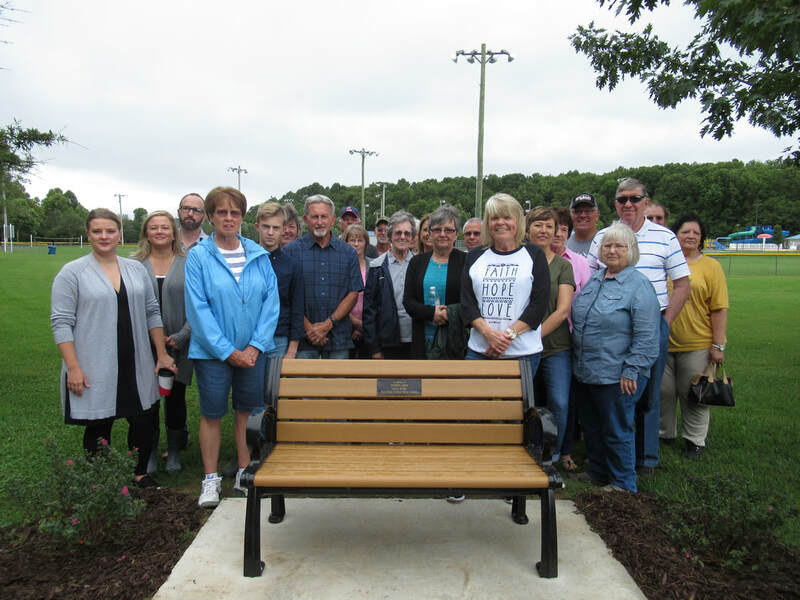 On September 8, the family and friends of Barbara Cowan gathered at the Cassville City Park to dedicate a bench in memory of Barbara Cowan. Barbara, who passed away on March 8, 2018, was a charter member of the Barry County Master Gardeners and named the group in her memorials request. With the family’s input, the decision was made to place a bench along the Greenway Trail and the city officials worked with the Master Gardeners to select a site, set the bench and prepare the dirt for planting. A tribute to Barbara, written by her good friend and fellow master gardener Nancy Grace Kirkpatrick, was shared. The group agreed that Barbara would be very pleased to have people stopping to catch their breath or sitting just to relax and enjoying the surroundings from the bench.